Together with his then wife Toni, Dave Arthur was a pivotal figure in the UK folk scene in the 1960s and 70s. As a duo they broke down the barriers that compartmentalised traditional music, and in the process they helped made “folk” a more understandable part of British culture. 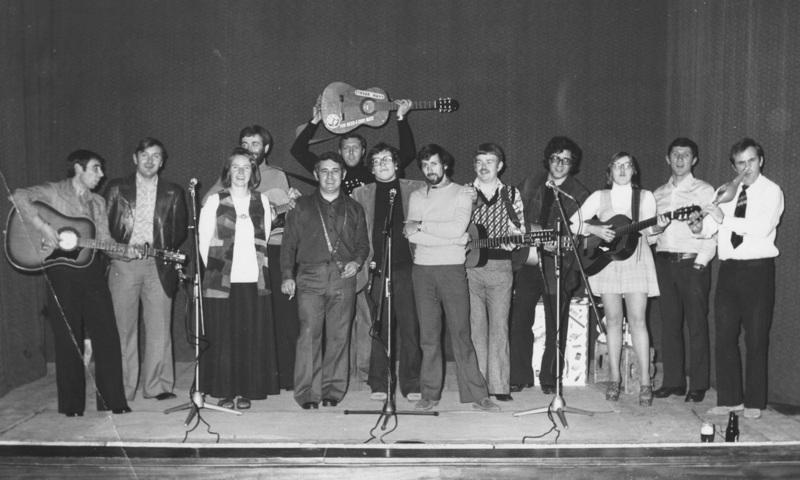 In the latter 1960s and early 1970s they were unique in combining song, music, dance, story-telling, even magyk, in a single gig. Dave argues that these days folk is more open to its constituent parts and to other traditions, but when they started out this was unusual. Just as there were folk clubs, blues clubs and jazz clubs, so within the folk scene there were the folk singers, the dancers (whether Morris or ‘social dancing’), and, occasionally, the story tellers. Rarely did the twain meet. The standard image of a folk musician from this era is that of a young man playing an acoustic guitar in a London coffee shop. In fact the names who predominated were disproportionately Scottish in origin and often not especially folk in musical orientation. Leading "folk" guitarists Bert Jansch, John Renbourne and Davey Graham were more rooted in the blues, and brought a strong “jazzy blues” feel to their so-called folk playing, argues Dave Arthur. They didn’t popularise the use of the guitar on the folk scene either. In fact when a whole host of “folk” guitarists were arriving in London in the mid-60s, folk fashion had already dictated the ditching of guitars for the imagined folk purity of acapella performances. Dave had stopped playing guitar as this point, and he and Toni would often perform traditional songs unaccompanied, and use their instruments to perform a reel or a jig. Toni was clog dancing at some of their earliest gigs; it was some years later before others, such as Maddy Pryor, took it up, he notes. Dave’s hero, AL ('Bert') Lloyd, about whom Dave has written an excellent biography, was central to the 1950s UK folk revival. Dave, like Bert, is open, embracing, and inclusive. In 1950s and early '60s England however, the man who ultimately determined what passed for folk correctness was singer Ewan MacColl, the man who’d been decisive in pushing the acapella trend. A communist paradox, MacColl insisted that his version of English folk be the template that the whole scene should follow. Folk for MacColl was also a political manifesto based on the imagined realities of English rural and industrial life. “MacColl thought the sky would fall down if someone played a Stratocaster at a folk gig,” says Dave, noting the parallel with those who were so outraged at Dylan’s electric conversion. MacColl was also a classic example of “don’t do as I do, do as I say,” noted Dave when reminded of a flautist accompanying MacColl on one version of his classic ‘The First Time Ever I Saw Your Face’. Peggy Seeger, MacColl's wife and musical partner, would often play along on an Appalachian guitar, he noted. Those less hidebound by musical nationalism would both treasure lost English folk gems, and take a healthy, internationalist, interest in popular music from around the world. Dave, like his mentor Bert, wanted to mine lost songs and traditions as cultural artefacts in their own right, to reify not deify them. However, as Dave points out, Bert too would discard much 'traditional' English material as not “properly” folk, even though such songs would be sung, acapella, by poor people in village pubs up and down the land. ‘Come into the Garden, Maud’ didn’t pass muster for the cultural high command of the English Folk Dance and Song Society (any more than ‘Yesterday’ or ‘Working Class Hero’, would for folk purists today). Since the 1990s Dave has been as likely to be singing Appalachian songs as English ones. Like his stories, they have evolved as they’ve been passed down from generation to generation. Likewise, a measure of Bert’s curiosity and openness was his interest in central and eastern European music. Says Dave, Bert discovered in the 1950s that folk music in the communist bloc had often been “modernised” by being played on accordions and clarinets. However Bert knew that it would have been absurd to have suggested to these musicians that they weren’t playing their own music properly. Dave argues that Fairport Convention’s ‘Liege & Leaf’ (voted the most influential folk album of all time in a 2006 BBC Radio 2 poll) was appreciated by Bert for bringing some traditional material to the attention of modern listeners. Electrification wasn’t Bert’s thing either, but Fairport Convention’s ability to instrumentalise around a traditional song impressed him, says Dave. Dave points out that the Fairports were by no means the first contemporary musicians to dig out songs like ‘Tam Lin’. Though their lyrical take on it was unoriginal, their "folk-rock" reworking of the tune, and of other songs, was exciting, says Dave. 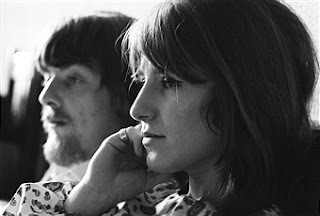 Fiddler Dave Swarbrick had introduced the traditional numbers to the band, having learnt them off of Bert, and Sandy Denny wrote good songs of her own, he says. Pentangle - incorporating Jansch, Renbourne, Jacqui McShee and decidedly non-folk musicians Danny Thompson and Terry Cox - picked up on a few well known folk tunes too, says Dave. It was the Scottish-Jamaican guitarist Davey Graham though that everyone really admired, he says. His eclecticism encompassed ragas more than reels, his tuning method was highly influential, and his ‘Anji’ was the standard that every budding “folk” guitarist had to play. (Not for nothing perhaps was his seminal 1965 album called ‘Folk, Blues and Beyond’). The much quoted ‘Folk Roots New Routes’ album that Davey Graham recorded with Shirley Collins in 1964 was mostly a separate showcase of each of their talents, and, he argues, its influence can sometimes be overstated. At the time Swarbrick was one of a handful of professional fiddle players on the UK folk circuit, observes Dave. He had been part of the Birmingham scene under eponymous group leader Ian Campbell (father of UB40’s Ali and Robin Campbell). Swindon folk club was run by Ted Poole. Liverpool had Jackie and Bridie and the Spinners, Dave recalls. Pete and Marion Grey ran a club in Brockley, south London. Dusty Jeans and Pete Sadler ran and performed at the Rusty Rails folk club in Abingdon, Oxfordshire, he remembers. Didcot in Oxfordshire was the first club gig that Dave and Toni performed at. By day Dave was running the literature and records section of the Pergamon Press bookshop in Oxford, owned by Buckingham MP Robert Maxwell, later the infamous head of Mirror Group Newspapers. Mindful of the budding university folk scene, Dave kept his section of the shop well stocked with publications like ‘Sing Out’ and the influential Folkways records. He and Toni hitched right across the country to perform at gigs, and would be back in Oxford, sometimes at 5am the next morning, ready to begin work a few hours later. Dave and Toni later moved to Lewisham, south London, where they regularly played host to visiting musicians, from the US as well as from across the UK. The tragic performer Jackson Franke stayed with them for quite a while. His ‘Blues Runs The Game’ was almost as much a folk song standard at this time as ‘Anji’ was for would-be folk guitarists, notes Dave. 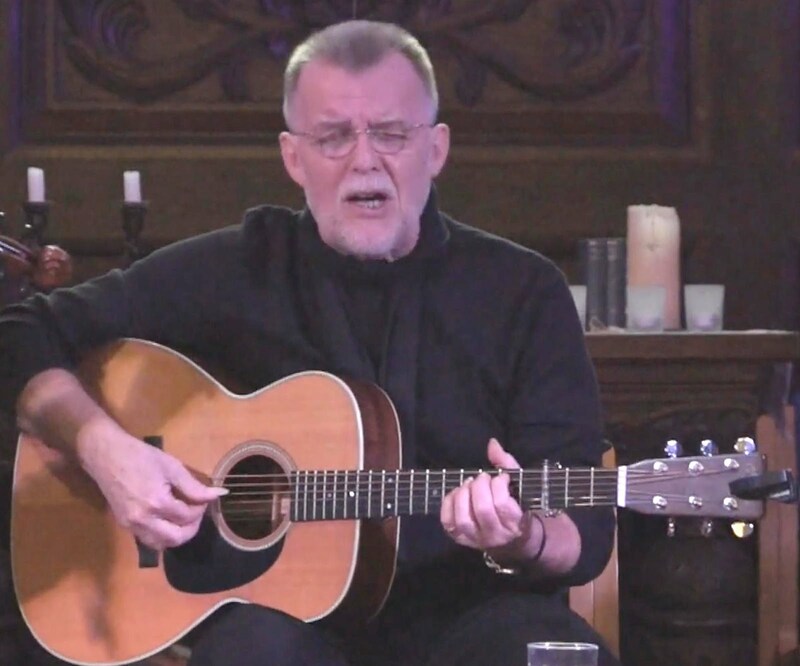 A great songwriter and guitarist, Franke influenced many players, says Dave, including Wizz Jones and Ralph McTell. He arrived in the UK with loads of money because of an insurance pay-out for injuries he sustained in the States, and promptly bought himself a flash sports car. Jackson had a dark side to him though, says Dave, because of his injuries; and was a child-like prankster, letting off a smoke bomb that closed down half of Lewisham High Street. Jackson couldn’t settle in relationships, observed Dave. He is sadly best known for having died in 1999 whilst living on the streets in the US. Dave notes that these performers’ supposed authenticity resonated with the dissenting college kids who often considered rock n’ roll commercially crass and vulgar. Folk was the soundtrack for the politically conscious youth who joined the Aldermaston marches in the late ‘50s and early ‘60s, he says, just as it was for the anti-Polaris protests in the second half of the '60s. Folk was revolutionary, Dave argues, not just in form but in lyrical content. The overlap with Communism, or at least an acutely class-conscious political agenda, had been spearheaded by MacColl and party member Lloyd, and was burnished by American visitors like Pete Seeger and Tom Paxton. Dave sung me a few lines from Bert’s version of ‘Billy Boy’, which Bert adjusted to address the Malayan Emergency of the late ‘40s to 1960 (one of Britain’s last colonial military engagements). Feelings against the UK tyre company Dunlop, deeply immersed in protecting the source of their cheap rubber, ran high among folk musicians and followers of the time, he notes. However the younger folk protest generation embraced a revolutionary romanticism more enamoured of what, in 1968, was going on in Paris, Prague, Hanoi, and even London and Peking. Of course many of those who later became music legends, whether accepted as such by the folk cognoscenti or not, were primarily focused on the music. Dylan and Paul Simon were, briefly, part of the British folk circuit in the early ‘60s, while 1970s rock stars Al Stewart, Gerry Rafferty and John Martyn had been an established part of the ‘60s folk scene. (Of the three, only Rafferty remained in Scotland, at least until he found pop fame in the ‘70s with pop duo Stealers Wheel). Dave remembers Clive Palmer, of the original, Edinburgh-based, Incredible String Band very well, and he still runs into ISB’s more renowned figures, Mike Heron and Robin Williamson, on a regular basis. The “progressive” folk musical journey undertaken by ISB underlines how much the burgeoning scene of which Dave was a progenitor had outstripped the confines of “folk”. By the late 60s/early 70s, the UK folk revival “had died a death,” he argues. Yet Dave remained broadly a part of the amorphous folk movement. He played with the late Barry Murphy in the Anglo-American banjo playing duo, The Rufus Crisp Experience, and in addition to still globe-trotting in his storyteller guise, Dave Arthur is part of the roots musical group, Rattle on the Stovepipe. Dave hated the fact that, like pretty much all UK folk singers in the 1960s, he couldn’t sing in his own voice. Not having a “regional accent,” he, like many, sang ‘Mummerset’, a nonsense word for a nonsense, fake rural, accent ironically affected by those seeking acceptance from folk purists. In the UK folk world of the '60s and '70s, sounding like you came from Northumbria rather than the south-east of England was much more acceptable. For many years though Dave has sung in his natural voice, whether singing English folk or Appalachian songs whose musical origin, as Dave points out, often lay with British and Irish immigrants. The UK folk scene today, while not as influential as it was for much of the 1960s, is in better health, Dave argues. There may have been five fiddlers in the 1960s but there are hundreds of them now, he laughs. You can graduate from Newcastle University with a degree in folk music. From strictly “orbits floating around each other,” folk’s component parts are today more aware of each other’s importance, and performers he says are more open to the diffuse elements of the tradition. There aren’t many who can sing, play, dance, storytell and puppeteer though, as Dave still does. Dave played at the Royal Albert Hall with Shirley Collins at the BBC Radio 2 Folk Awards in May 2017. Shirley had recently returned to public performance for the first time in 30 years and had released an acclaimed new album ‘Lodestar’. 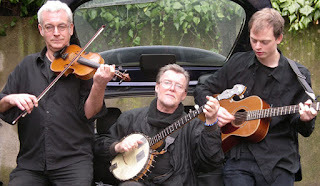 On the night, as throughout her recent UK tour, Dave accompanied her on guitar, as did Pete Cooper of Rattle on the Stovepipe and the album’s producer Ian Kearey. Perhaps it was fitting though that the lifetime achievement awards went to arguably the ultimate world musician, Ry Cooder, and to Al Stewart, confirming that folk is a bit less precious and rather more inclusive these days. Pete Sadler writes: "A thoroughly accurate and entertaining interview, Neil, giving my dimming memory more than a few, sharp jogs. I mean, how could I have possibly forgotten Jackson Frank and ‘Blues Runs the Game,’ a modern folk tale which nearly every floor singer and visiting guest did at some point in their set at the Rusty Rails?. I learnt a lot of guitar licks too from just watching Dave doodling around and I also remember being in his and Toni’s Lewisham flat one afternoon with Dusty and us both being horrified as Dave’s wonderful old Guild flat-top guitar was just lying on the floor when their baby son crawled over and practised learning to walk - on the sound-box. And Dave? Not a bat of an eyelid. A laid back muso indeed. I’m grateful too that his memory is clearer and further reaching than mine on the events of the sixties folk scene. It was a time of change with the surge of contemporary folk via Dylan, Jansch, Renbourn et al. But Dave and Toni kept on with singing the old, sometimes, obscure, traditional songs, preserving them for history, the younger folkies and the generations to come. Nice one."